In an ideal world, you'd be able to turn to your banker or business credit card to borrow money any time you needed it for your business. But not everyone has a long enough credit history or a high enough credit score. If you're losing sleep because you need cash quickly and traditional sources are not working out for you, it may be worth considering alternative financing. The interest rates and fees can be significantly higher than for a traditional bank loan or on a great business credit card deal, but they can come in handy in a cash crunch. If you work in a field such as ecommerce, look into lending programs tailored to your industry or the platforms where you sell your products or services. One example is the Amazon Lending program, an invitation-only program for merchants who run Amazon stores, which helps them finance inventory. Often programs like this are tailored to the cash-flow quirks of particular industries. If you're not aware of lending programs specific to your industry, ask your trade association for ideas. In factoring — a type of financing that is often used by companies that sell merchandise through big retailers — you sell your accounts receivable to a company called a "factor" at a discount. In one common type of factoring, the factor buys your invoices and purchases the right to collect the money owed from your customers. Once your customers pay their invoices, you get the face value of the invoice, with a small discount subtracted, often in the neighborhood of 2 to 6 percent. The factor will give you 70-90 percent of the value of the invoice up front, and the rest when the customer pays it. 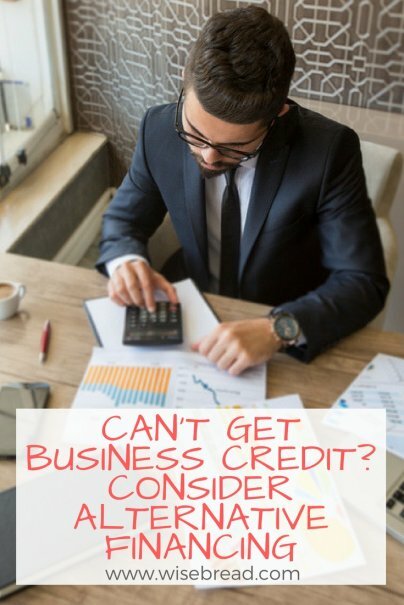 One reason some small-business owners like this type of financing is the factor bases the decision to buy the invoices on their customer's credit, not the business owner's. For instance, if you make a household gadget that a big retailer has stocked on its shelves, the factoring company would decide whether or not to buy the invoice based on the retailer's credit, not yours. That could be a plus if your credit profile is not strong. Another type of financing that may come in handy is borrowing against your receivables, particularly if you run a professional services firm. If you use popular accounting software programs such as QuickBooks, Freshbooks, or Xero Accounting, you may be able to borrow against your receivables through Fundbox. Fundbox will let you borrow up to $100,000 against your receivables and repay the loan over 12 or 24 weeks. You can figure out what it will cost you using the calculator on the site. You must pay back the loan each week in a preset amount (part of the amount owed, plus a fee) for the duration of the repayment period. You don't need a credit check or personal guarantee, approvals can happen in a matter of hours, and you can get the loan as soon as the next business day once approved. The challenge with this type of financing is that Fundbox automatically deducts the money you owe from your business bank account. If money is flowing into the business slowly, you could end up in a period where you have very little cash on hand until you repay the loan. A working capital line of credit from an alternative lender is another option that might help you in a pinch. At Kabbage, one fast-growing provider, small business owners can apply for a credit line of up to $250,000. Kabbage offers six-month and 12-month repayment terms. Each month, you'll pay a fee of 1.5 percent to 10 percent, based on your business's performance. For example, if you borrowed $10,000 for six months with a 4 percent monthly fee, you would pay $1,667 each month for the loan repayment, plus $400 a month in fees. Peer-to-peer lending (aka, P2P lending) is also an option. You can borrow money from investors, who may be institutional funds or private individuals, instead of going to a bank. 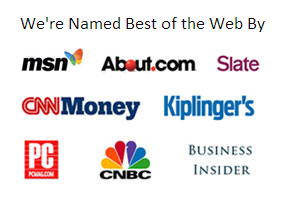 Among the providers are Lending Club, Prosper, Upstart, and Funding Circle. Generally with peer-to-peer lenders, your interest rate will be based on your credit profile, so the stronger your credit, the better your options. In the past few years, more companies have been offering small businesses advances on the money they expect to receive in a given month from certain sources of business. They can be helpful when you're in a jam, but make sure you understand what you're actually paying for the money, because some providers charge quite a bit for this type of financing. One example of a service in this space is PayPal Working Capital. This service offers loans based on your PayPal sales history, up to a maximum of 30 percent of your annual PayPal sales (and up to $97,000 for your first loan). Fees depend on the amount you borrow, your annual PayPal sales, and the percentage of your receipts that are deducted to pay back your loan. For example, if you borrow $5,000, you have $20,000 in annual PayPal sales, and you repay 30 percent of your PayPal receipts every month, you'll pay a one-time fixed fee of $615. Pay back less every month and your fixed fee will go up. As in the case of Fundbox financing, repayments of advances are typically deducted automatically from your business bank account at regular intervals. Once you're out of your cash crunch, turn some attention to doing what you can to add to your revenue and profits. Your business will be a lot healthier if you can finance most of your growth out of cash flow. And the stronger it is, the easier it will be to find financing at great rates in the future.